What is your safety worth to you? The answer to that question should be everything. Your health, or in more severe cases your life, is one of the most precious, fragile and eminently perishable assets you have. Getting injured or hospitalized in any way is an event that can radically alter your life, leaving you crippled and in pain where health and vitality used to be. In a moment of senseless violence your life could become appreciably worse. It may seem like hyperbole, but getting into a violent altercation is not something you have to inflate to make it into something scary. There are costs that come along with learning self defense. The martial arts come with membership dues, buying equipment and the time it takes to properly learn them. These costs are insignificant when they are weighed against the dangers of inaction. Nick Formichelli is a Corrections Officer who recently was called into action to stop a potentially serious situation. Nick is on a response team that is called in to assist if an inmate attacks an officer. Nick has previously trained in Boxing and that had been his typical approach to altercations. When he came upon the inmate and officer involved in this fight, they were on the ground wrestling for top position. The inmate attempted to grab Nick’s legs and take him down as well. To the inmate’s surprise he found out that Nick had been practicing the sprawl the previous day at Precision. Nick kicked back his own legs to prevent the take-down and put his weight down on the inmate. This move was efficient and quick and stopped the inmate from doing any further harm. Nick was able to resolve the situation with minimal harm to all involved. He stopped an violent altercation with a quick and precise response. Nick has been a Corrections Officer for twenty years. He had been a Precision MMA student for just 30 days. He learned enough to keep stop an inmate from hurting anyone in thirty days. Watch the video below to hear in his own words what happened. If you want to learn real world self defense then come in to Precision MMA today. 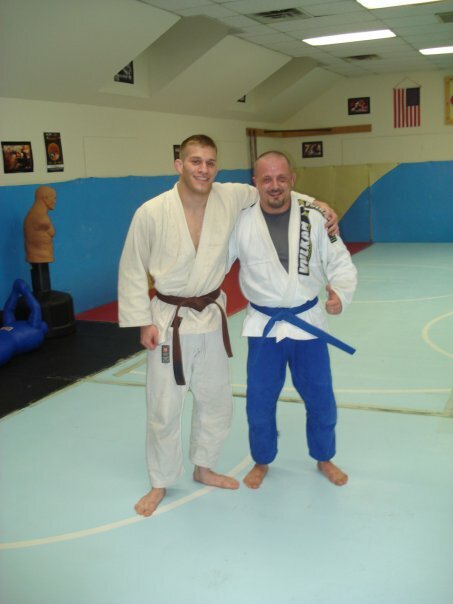 Stop in, give us a call at 845-392-8495 or go to our website at www.poughkeepsiemixedmartialarts.com.